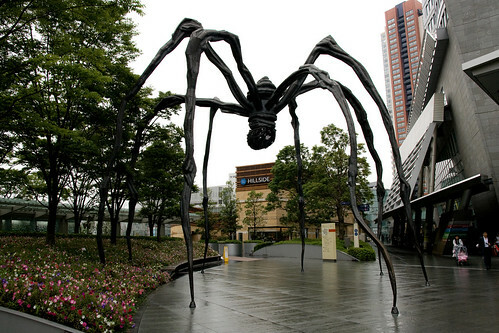 Maman is a sculpture by French-born American sculptor Louise Bourgeois. 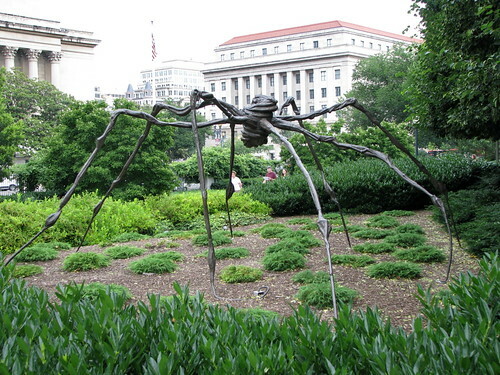 The sculpture, which resembles a female spider, is over 30 feet high, with a sac containing pure white marble eggs. 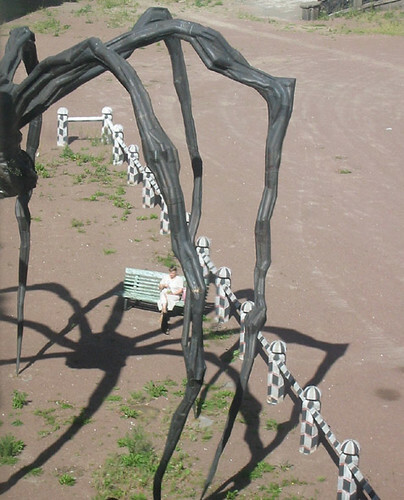 Maman (meaning mother) depicts the protectiveness as well as the fragility of motherhood. It has several casts and is displayed at various places around the World. In this post I have shown images of all the permanent sculptures. The link to the locations on Google Earth/Google Maps can be found at the end of this post. Unlike other places two Mamans are at display here. 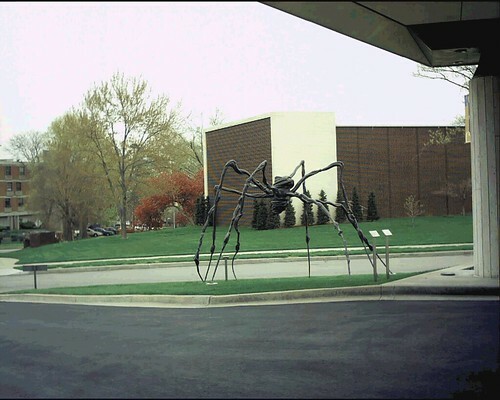 Some more images and the story about Maman can be found at Hemitage Museum Web page. While the other statues are cast in Bronze this one is made of Stainless Steel. Unlike other sculpture which are located outdoors this one is located inside the building. An image of the same can be seen at this link. 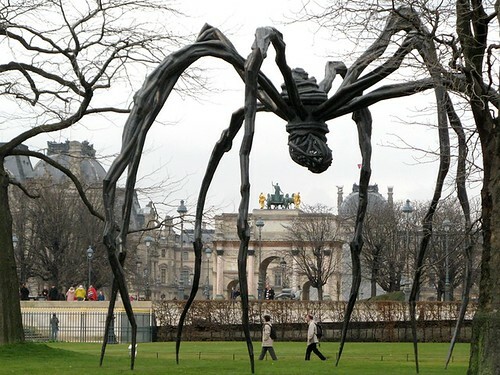 Hey, just to let you know, the Maman's are no longer in London, Paris, Boston or D.C. Trust me. Thank you Molly for the info. 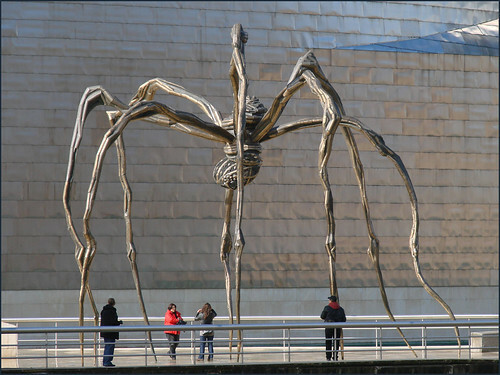 Maman has always been quite mobile so it possible that she may have been temporarily loaned to some other museum/location. Any way thanks once again for the info. we were at the Hermitage in 2004. Was the Spider there then? I don't remember seeing it. 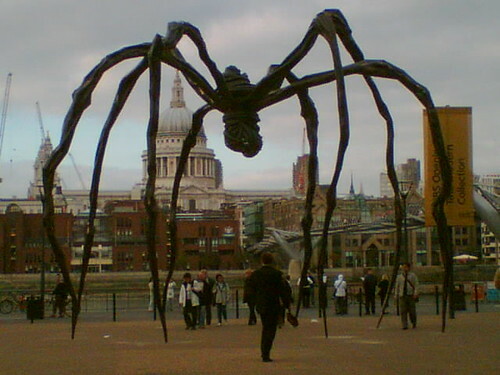 Maman was exhibited at the Hermitage Museum around Nov. 2001. See their Official webpage. 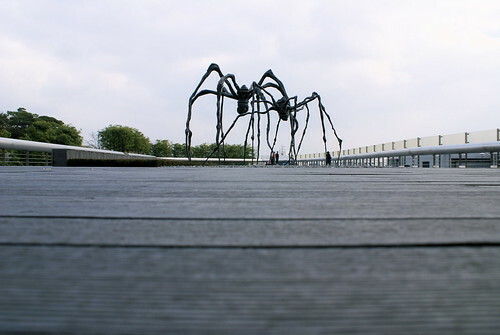 As I wrote in my earlier comment, Maman has always been quite mobile so it may be possible that in 2004 she was away from Hermitage. Best would be to check with with the Museum via their feed back link. Thank you Patricia. 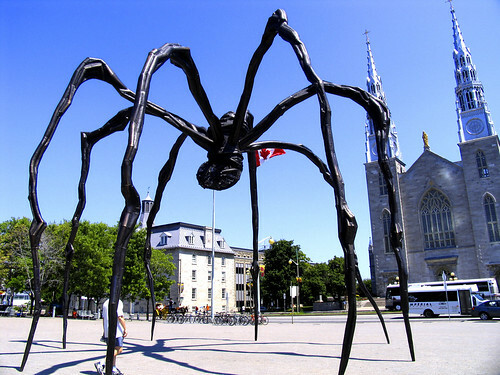 After reading your comments I did Google search but couldn't find any reference to Maman Spider in Toronto. 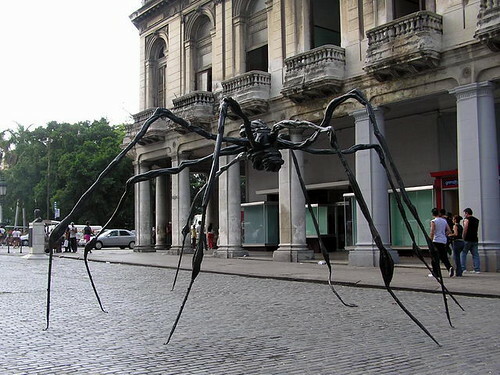 However there is a giant spider sculpture but it is of different design and perhaps by a different artist. 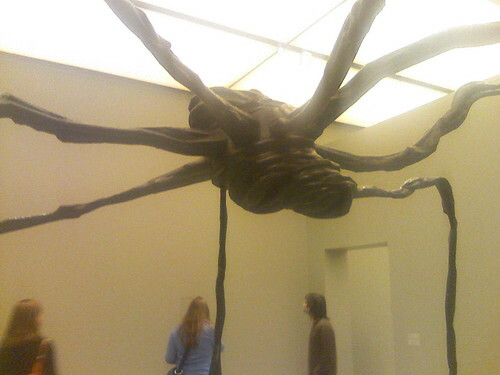 why would they put these creepy spiders?